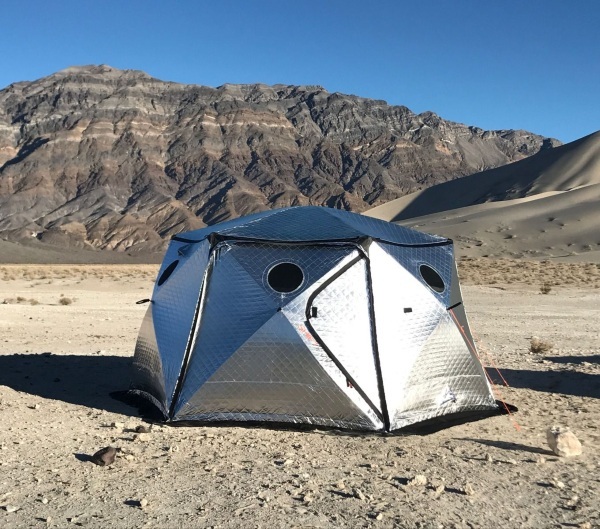 This tent has a reflective shell that keeps the sun’s heat from coming in. Meaning the inside is darker and cooler than the outside world so you can rest, relax, or whatever it is you need to do out in the desert. 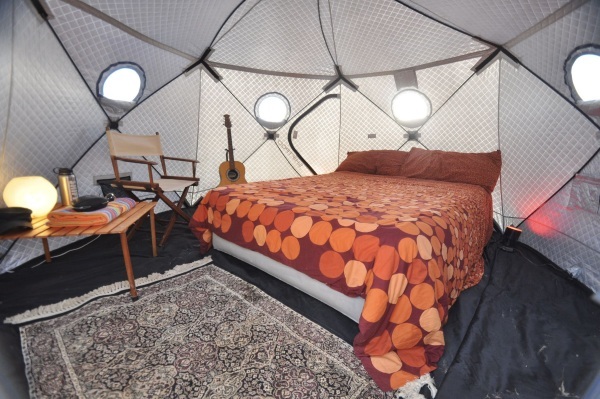 It can fit up to six people and their sleeping mats comfortably. But it still might get kind of warm with all that body heat. There are vents and windows built into this pod so that you don’t suffocate, which is very important. Windows and vents should be left open but you can close them in case of something like a sandstorm, which if you are caught in one of those, that wouldn’t be the best. Check out the website to learn more and you can get one for $1,299.